Happen to walk past the same spot as I did two days ago! Today I got to capture the lights in a different colour! The LED panel facade changes every few minute or so. 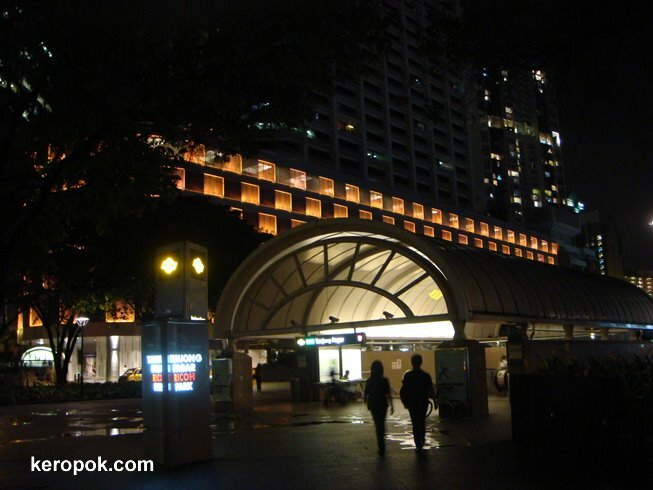 The building behind is International Plaza that got renovated quite recently. I just found out that this building was actually completed in 1976!! Cool! How many colours does it have? I like this one. Did you go in?